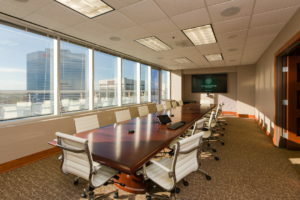 JU Downtown, whose online, hybrid and cohort programs will primarily be helmed by the University’s Nathan M. Bisk Center for Professional Studies, now offers courses from dozens of faculty and advisors in 19 offices, four state-of-the-art classrooms with multimedia options, conference rooms and adaptable collaboration space. It’s all located on the sparkling new, picturesque 18th floor of the signature SunTrust Tower on Laura Street, with sweeping views of the St. Johns River and the city it traverses. With the Nathan M. Bisk Center for Professional Studies as its centerpiece, the 15,000-square-foot JU Downtown currently offers about 100 undergraduate and graduate students programs through the Brooks Rehabilitation College of Healthcare Sciences and the Davis College of Business, with more to come soon. 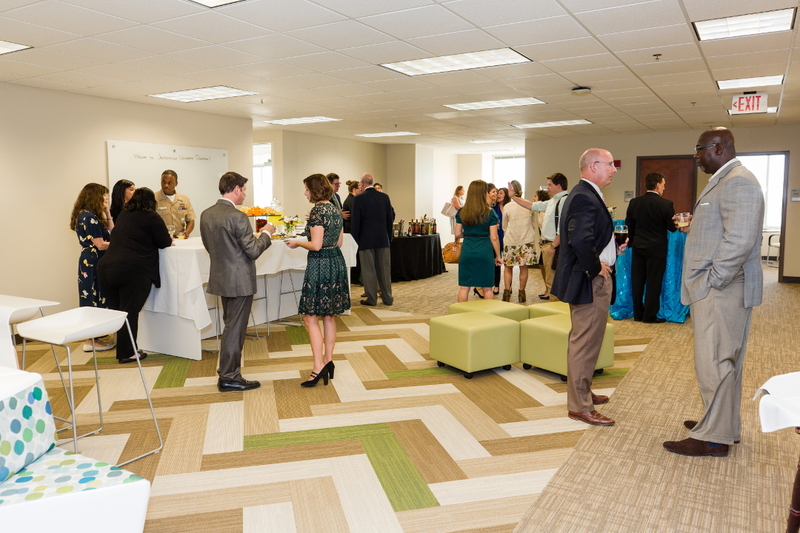 JU’s new downtown home is aimed primarily at working adults enrolled in professional programs, offering high-quality university education unconstrained by bricks and mortar, geographic proximity or traditional classroom hours. Coursework will also be available for traditional students and students living on campus. Cohort-based evening classes, hybrid options and online courses are available, in programs including Nursing, Business Analytics, Organizational Leadership, Health Informatics, Sport Management and Business Administration. 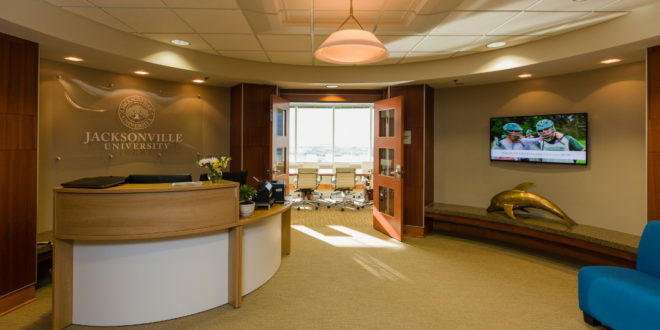 The move has also been sparked by JU’s ASPIRE comprehensive campaign, which has raised tens of millions of dollars for programs and facilities, including a major donation in 2015 from the Bisk Family Foundation — the largest single investment in dedicated online learning in JU’s history. In its 17-year partnership with JU, Bisk has helped more than 4,400 students graduate through the online RN-BSN and five online masters program offerings. Discussions for JU Downtown began nearly a year ago among Cost, JU Provost Dr. Donnie Horner, and JU professors Drs. Carla Fry and Teresa MacGregor, among others. MacGregor, Graduate Director for the Nathan M. Bisk Center for Professional Studies, heralded the new campus as a landmark example of partnership among higher education, private enterprise and public investment. “We embarked on a vision in which JU Downtown aims to connect the citizens of Jacksonville to the global society through higher education,” she told audience members. “Together with Bisk, JU has become a thought leader in online education. We’ve eliminated silos and are bringing faculty innovation into reality. 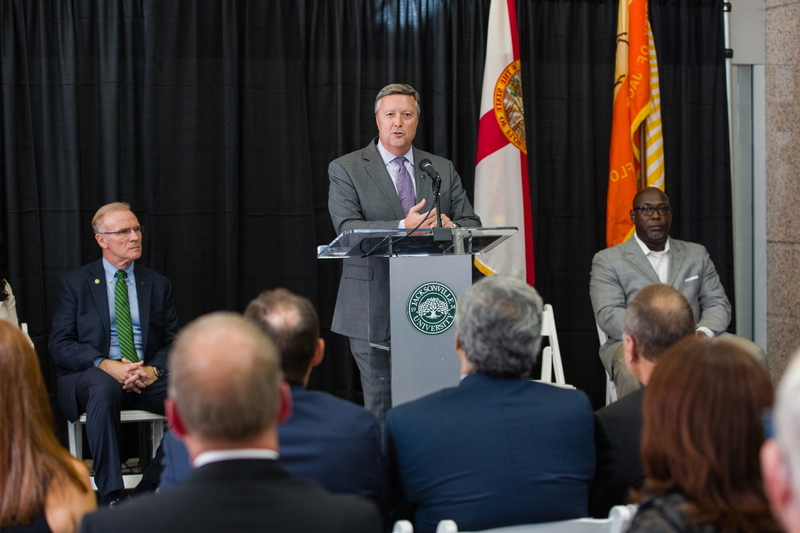 And while programs through the Brooks Rehabilitation College of Healthcare Sciences and the Davis College of Business are the first to get off the ground, “At this time, JU Downtown is now ready for any discipline interested in branching out from traditional education,” she added. For more information, contact JU News Director Phillip Milano at pmilano@ju.edu, (904) 256-7042.